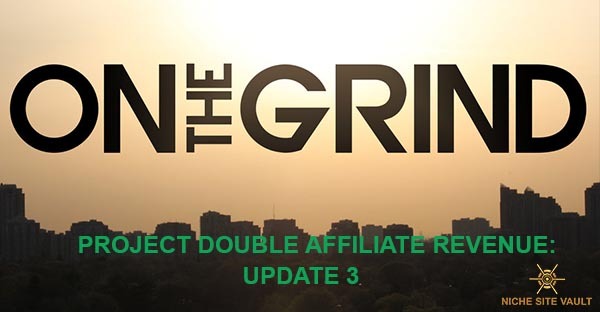 Welcome to this month’s update on Project Double Affiliate Revenue. You can read last month’s update here. So, August was a month of mixed fortunes for me. And I guess many niche site owners. If you do not know what I’m talking about, it’s all about the so-named “Medic Update” by Google. 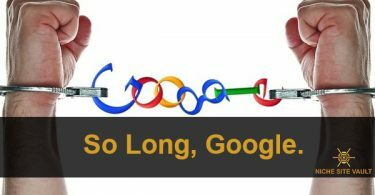 In a nutshell, Google pushed out an update that impacted the search results across a number of industries. Most of the websites that seemed to be affected are those that deal with decisions that can affect your life or your money (YMYL). You can read more about the Medic Update here. Coming to my fortunes, it just happens that 90 percent of the niche sites I have fall under YMYL category. And believe me, they all got hit. Overall, my sites lost from 30 to 50 percent traffic. Of course, my affiliate income also took a hit. In August, my goal was to write 30 articles for the site I’m aiming to double the affiliate revenue. The month ended without me writing any articles for the site. First, I took a much-needed 2 weeks vacation to be with my extended family. It’s important guys. I’d not seen some of my cousins for 20 years and they live just across the border, about 230 miles from my city! It was fun. I got to meet some new cousins, attended a wedding, explored a new city at night, and just had fun being away from the computer. Anyway, after my 2 weeks’ vacation, I came back to work and found the Medic update had just been rolled out. And all my sites were affected. The site for this Double Affiliate Revenue Project is not my main niche site. I had to put it on the backburner as I worked on my other sites. This is why I did not get time to write any articles or build any backlinks for the website. There you have it. Nothing was done about this project in August. Let’s get on to the stats. Here are the stats of the website at the end of August. I did not write or publish any new articles on the website. So, the number of articles on the website remain the same. From the stats above, you can see that this site was affected by the Medic update. My traffic fell from 1.9K to 1.3K. There is also a decline in the traffic value as you can see. The surprising thing is that my backlinks increased, even though I did not build any backlinks. However, these are the backlinks that come from image scraper sites. They are not quality backlinks. I’m not sure whether I should disavow them or let them be. For the moment, I’ll let them stay. My organic keywords increased from 2.3K to 2.4K. I guess if I’d posted some content, I’d have seen a larger increase in the keywords that are ranking. Like I’ve already indicated, this site was affected by the Medic update. You can see the drop in keywords that are ranking as well as traffic as depicted by SEMrush. Since I did not post any new articles on the site in August, I still have 70 articles posted as part of this project. In July, the new content earned $19.20. In August, there was a remarkable improvement. The content earned $100.56. This is an increase of about $80 from July’s earnings. The previous content earned $139.06, which his a drop of about $60 from July’s earnings. Overall, this site improved it’s earnings, from July’s $219 to $239. This was surprising given that my traffic fell by about 30 percent. I guess I would have made much more if this Medic update hadn’t been rolled out. Here are the traffic stats for August. You can see all the stats in red. Page views reduced by 3.58 percent. There were also drastic reductions in the Average Session. I attribute all these to the changes that were effected by the Medic update. In my last updated, I’d indicated how I was frustrated with this project, especially with the earnings per item, since I’m mostly promoting items that are under $100. I guess this is another reason why I was not motivated to post any article on the site. Anyway, I’ve decided to stick to this project until the end. This means sticking to it for the next 2 months. I have written off August from the project timeline since I did not touch the site. So, I have September and October to double the affiliate revenue of the site, which was $250. That means that by the end of October, the website should be earning $500. I’m getting back to the basics of the project: write more articles and build more quality backlinks. Write 200+ articles (1000+ words). 150 of the articles will be based on buyer intent keywords while 50 will be informational pieces – I’ve currently written 120 articles. Build 50+ high quality links –I’m not sure how many links I’ve built. But they are less than 10. So, we are back in business. However, I am not oblivious of the Google update that affected the website. I am not sure whether the update will impact the site’s performance in the coming months. Moreover, I am yet to read a case study online on how any site impacted by the update has been able to recover. If you have a link or have recovered your site from the update, I’ll appreciate your contribution. Let me know. That’s my update for the Double Affiliate Revenue Project. What are your thoughts?